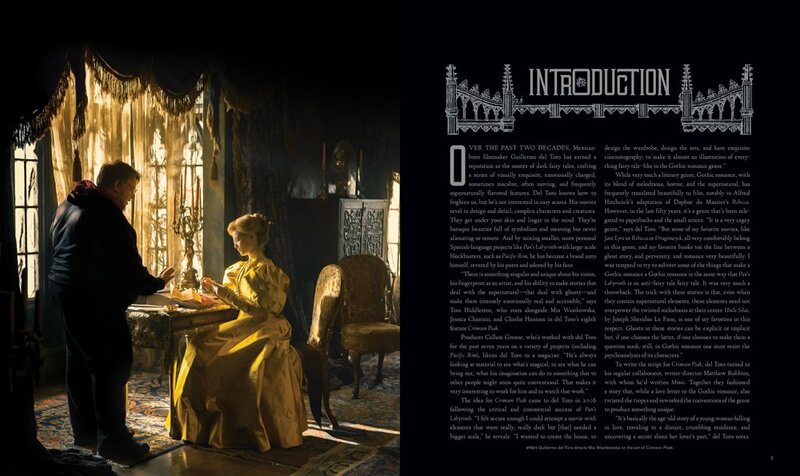 Jessica Chastain, Tom Hiddleston, and Mia Wasikowska play the leads in Guillermo del Toro’s new psychological horror film, “Crimson Peak,” but it is the house that is the star of the film. Del Toro’s brilliant visuals immerse the audience in the growing sense of oppressive dread of the twisted ghost story. As creepy and terrifying as the story is, the details of the house are endlessly enticing. 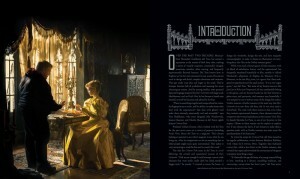 So I am thrilled that there is a book about the making of the film that is as imaginative and enthralling as the film. 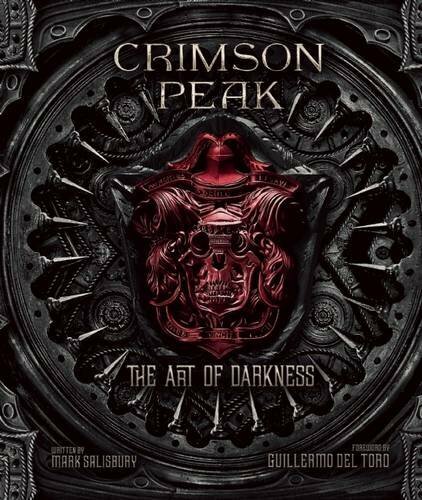 Crimson Peak: The Art of Darkness , by Mark Salisbury, is a sumptuous treat with fascinating behind-the-scenes details, production drawings, and intricate visuals that are a work of art on its own. There are inserts and insets throughout, giving the reader the experience of discovering secret treasures. 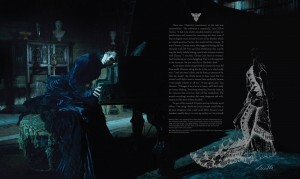 The designs are wildly imaginative and yet somehow seem as they they have always lived in our most private nightmares. The insights from the stars, director, and designers take us into a world almost as fascinating as the world of the story — the fantasy, insight, skill, and work that are necessary for creating art, whether a movie or a book. Previous PostPrevious Happy Halloween! Watch the Silly Symphonies Skeleton Dance! Happy Halloween! Watch the Silly Symphonies Skeleton Dance! Previous PostPrevious What Halloween Movies Made the Most Money? What Halloween Movies Made the Most Money? Data curated by prettyfamous.com and findthedata.com and sourced from Gracenote. Next PostNext Happy Halloween! Watch the Silly Symphonies Skeleton Dance!